Specialist advanced practice nurses are experts in a technical area or specialism but are also experienced nurses with the ability to lead & inspire. This is not always seen. Leading is not always the same as managing. You don’t need a title to be a leader. 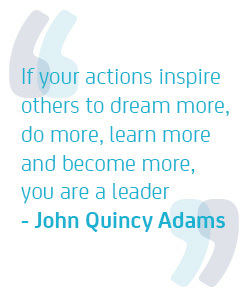 Think about the contribution you make to the organisation not only as a specialist but also as a leader to others. Are you a role model? Do you teach? Are you challenging poor practice? Are you pushing forward the boundaries of care? Are you an innovator? Do you observe and note the standards of care in parts of the organisation you interact with? As a registered healthcare professional you are obliged to escalate any concerns you might have – you are the extra eyes and ears of the leaders in your organisation. Add your leadership contribution to your service summary.